“People make fun of LA for being self-involved and shallow — bite me, we’ve got Project Angel Food,” said Debra Messing, the beloved Will and Grace star who was honored on August 18 at the 28th Annual Angel Awards, a red carpet dinner that raises hundreds of thousands of dollars to help deliver nutritious meals to terminally ill people in Los Angeles. Project Angel Food’s mission has greatly expanded since the organization was established in 1989 to help feed people with HIV and AIDS, a reflection of medical progress in that fight. This year, Project Angel Food will serve more than 600,000 meals to terminally ill residents of Los Angeles. 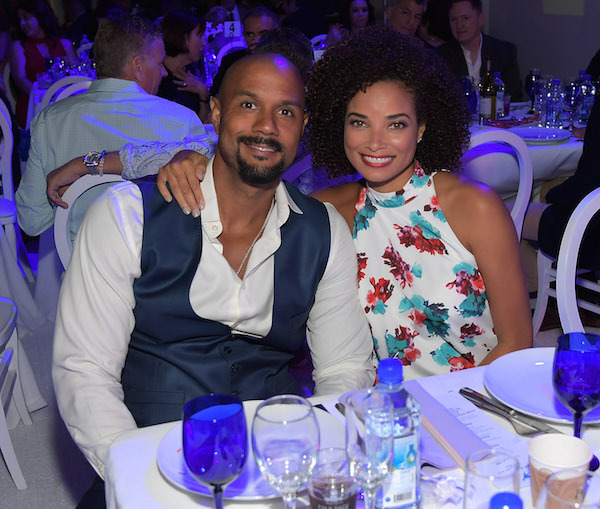 Celebrities, supporters, and volunteers gathered on the red carpet to honor Messing and Celebrity stylist Chaz Dean, bringing star-powered attention to the life-changing and evolving work of Project Angel Food. And, if the star-powered roster of speakers and celebrity guests seated for last night’s event is any indication, some very powerful people agree. 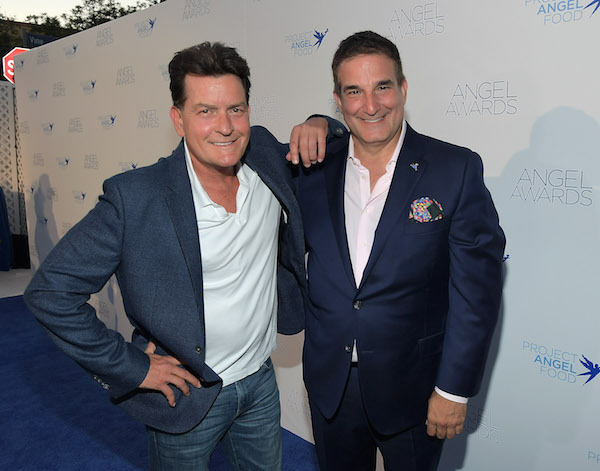 Celebrity presenters like Pauley Perrette, Charo, and Charlie Sheen, among others, took the stage underneath two glistening chandeliers, to share personal experiences with Project Angel Food, including moving stories of loved ones who suffered from life-threatening illnesses. Celebrity stylist and creator of Wen hair and beauty products, Chaz Dean, receiving the Project Angel Food’s Corporate Leadership Award, recounted his memories of volunteering in the kitchen and encouraged the use of social media to raise awareness of the organization’s mission. “The love,” as Dean said, “starts right here in this kitchen,” and everything they do comes from the heart. Will & Grace producers David Kohan and Max Mutchnik presented Debra Messing with the Founder’s Award for her devoted support of Project Angel Food, her unwavering advocacy for underrepresented communities in the shadow of the current administration, and her decade long ambassadorship for people living with HIV and AIDS. After a loving, mini-roast of an introduction, citing her as equal parts “mess” and “ing,” Messing took the stage to share a story about a teacher who she watched go through stages of AIDS over her three years at NYU’s graduate acting program in 1990. 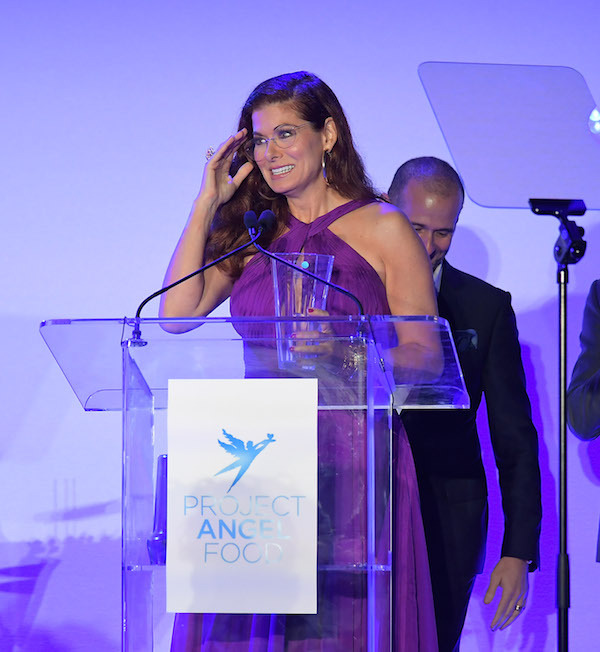 The Angel Awards became an annual tradition early on in the group’s existence, at a time when Project Angel Food served meals to only a few dozens clients. Executive Director, Richard Ayoub, pointing out how much that has changed, spoke to the Los Angeles Blade: “Whenever we do an event like this, we hope there are ripple effects, just like what Chaz [Dean] said. We hope people post on social media. We hope people are moved and want to send a donation if they didn’t make one today. And we hope that people volunteer in the kitchen because that’s what we need,” Ayoub said. Ayoub is excited about a recent expansion of the organization’s mission that, as he points out, helps the state of California lower the cost of care. “Project Angel Food is part of a statewide pilot program where we are providing healthy meals to people with congestive heart failure and the hope is that we bring down healthcare costs. We have seven clients on that program so far. Five of the seven have been on it for a month so far and all five have stayed out of the hospital for over a month, which is a huge achievement for someone with congestive heart failure because they’re the highest users of MediCal and the hospital system. We have already saved the state and us taxpayers thousands of dollars.